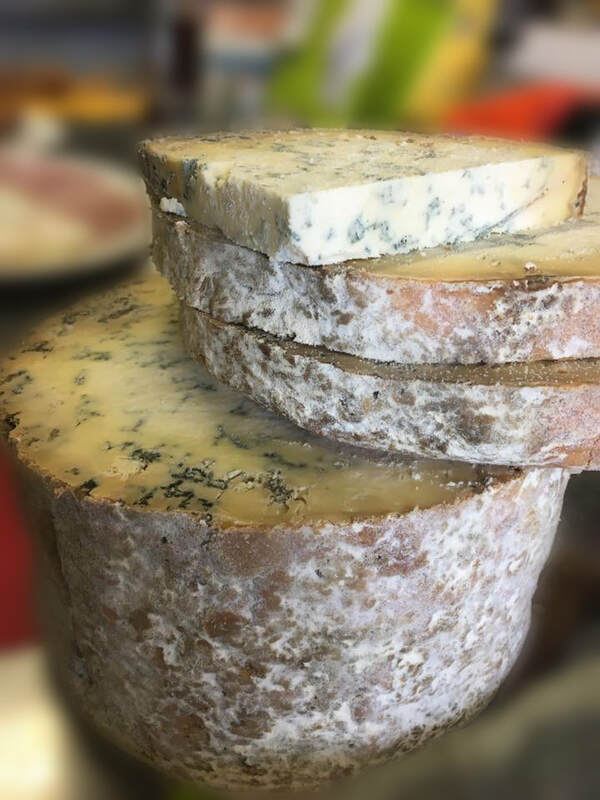 ​Our cheese buffet is a delicious, more substantial alternative to the usual finger buffet, think of it as more of a ploughman’s but a bit more luxurious! As we use ‘real’ bread rolls from Taylors Bakery of Bruton, your guests will not be left wanting. If you desire a rustic yet hearty feel to your party, then this is a tasty menu that guests are sure to enjoy. Great for wedding evenings, outdoor parties, barn dances, business meetings or functions where you want a simple buffet where your guests can graze of an evening (or lunch) without the worry of sandwiches curling up and drying out. All cut into individual portioned wedges for your guests to easily pick up. Delicious freshly baked mixed rolls from Taylor’s Bakery - we normally offer a mix of white floured soft rolls, white crusty seeded rolls, granary rolls and wholemeal seeded rolls. If you would like all one type or something specific then do ask, we will always try and oblige. Traditional kettle cooked gammon ham, rare roast topside of beef sliced, homemade cheese, tomato, basil and mozzarella pizza, homemade quiches (fillings to suit), pork pies, Gala Pie, antipasto sliced meats, smoked salmon or mackerel pate, homemade sausage plait - £1.30 per portion per individual extra item. We are more than happy to arrange china and glassware hire for your event, just ask us to provide you with a quotation. The collection of your order can take place at an appointed time to suit you within our Café opening hours, just let us know when you order your food when is convenient for you. Please note, if you would like your food delivered to your choice of venue we would need to add 20% VAT to your order total. A non refundable 20% deposit is required upon booking your order to hold your date for you. Our preferred payment method is by direct bank payment however we can also take cards or cash. As such we no longer take cheques, however if you are a club or group we can by agreement make exception provided funds are fully cleared by day of collection. We will ask for your final numbers 1 week before your event, this is the amount you will be invoiced for. Full payment of your food order is required before or upon collection.